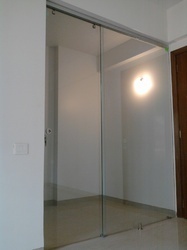 We are offering Glass Sliding Cubicle. Our organization is specialized in providing the best class range of Shower Enclosure. We hold expertise in offering a wide range of Shower Cubicles, which is available in various combinations like from self-contained cabinets to screen panels for bays. These cubicles can be installed in any corner or against a flat wall. Owing to the rich industrial experience and expertise in this business, we are involved in providing Transparent Shower Glass Enclosure. 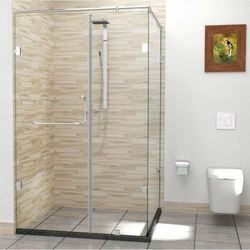 We are known to offer a range of highly attractive and economical Shower Enclosure. Widely popular for their designs, the Frameless Shower Enclosure is available in different sizes so as to meet the customers’ preferences better. Manufactured in accordance with the highest standards of industrial quality, the products are fabricated using the finest raw materials at our vendors place.